Are you a face scrub-a-holic, like me? I’d use one every morning if I could, as I love that freshly scrubbed, ultra-smooth feeling. My preference is quite a grainy scrub, rather than a polish. 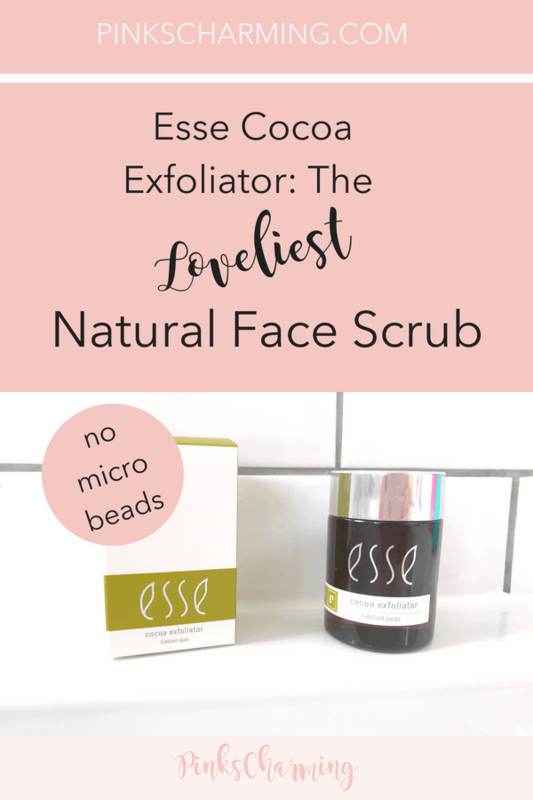 I was recently send a jar of Esse Cocoa Exfoliator to review from Love Lula* and I am slightly obsessed with it! Read on to find out why. 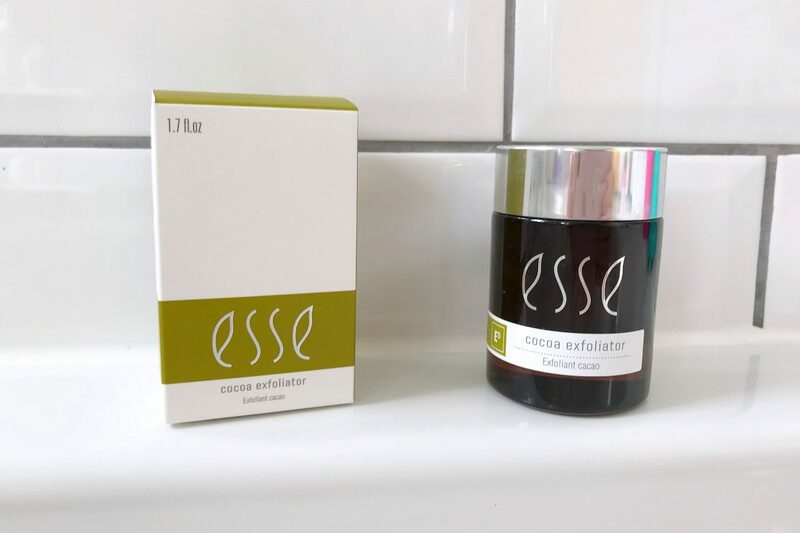 What Makes Esse Cocoa Exfoliator My Favourite Natural Face Scrub? Let’s start with the chic packaging. 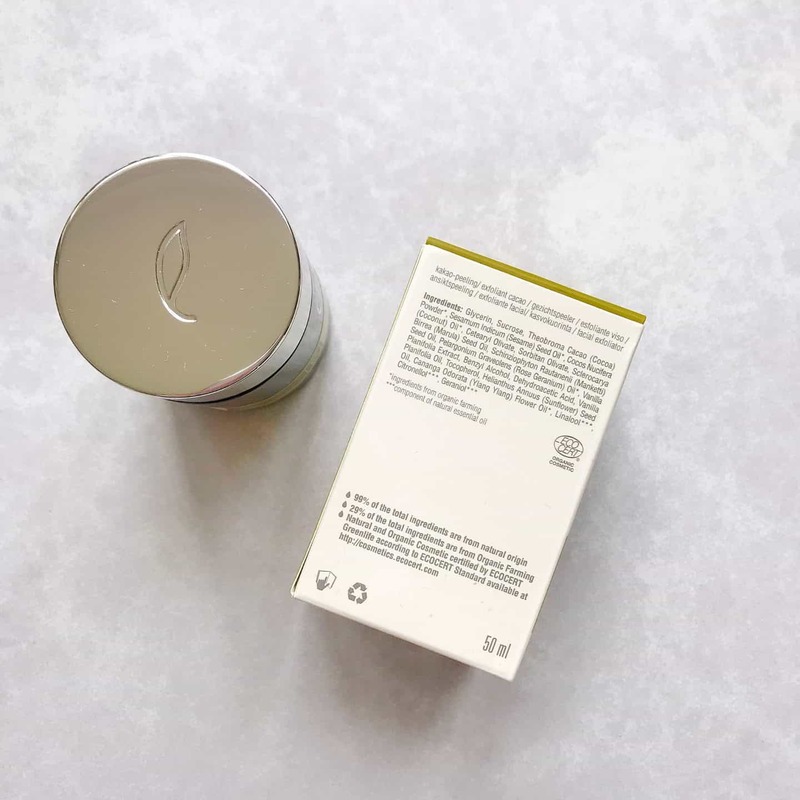 It comes in a minimal glass jar, which is great as it’s better to recycle glass than plastic. The silver-coloured lid is a nice touch too – it looks great in my monochrome bathroom. Next, the gorgeous fragrance. It smells of melted chocolate. And actually it tastes a bit chocolately too. I wouldn’t recommend eating it, but it does get onto your lips when you use it, so you do taste it. Moving on to the luxurious feel. It is really thick, and holds its form well, as you can see on my hand. 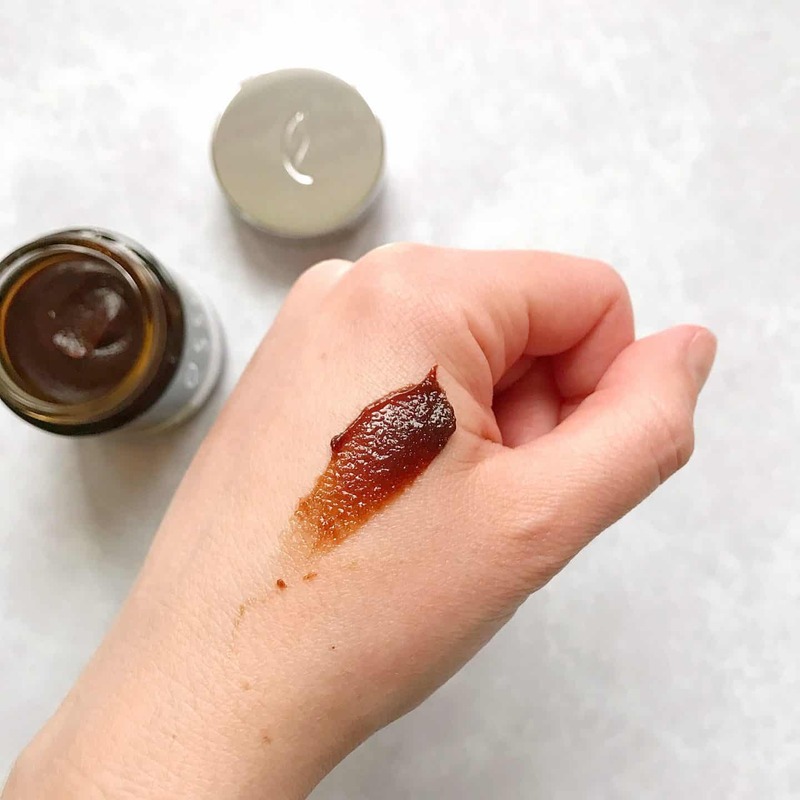 You apply it to dry skin and add a teeny bit of water to give it some ‘slip’ and massage it over your face until it dissolves. Just rinse away to reveal amazingly soft, smooth skin. You’re only supposed to use it once a week. But as I say, I am obsessed so am using it more often, and my skin looks and feels great. 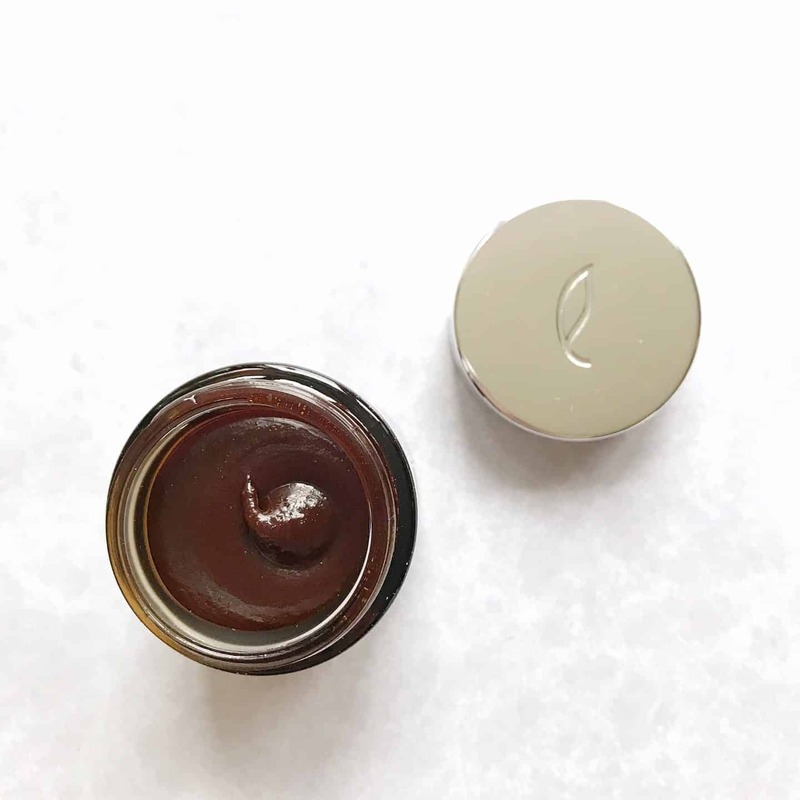 This clean face scrub is 99% natural, 29% Ecocert certified organic, and naturally there are no microbeads to damage the environment. 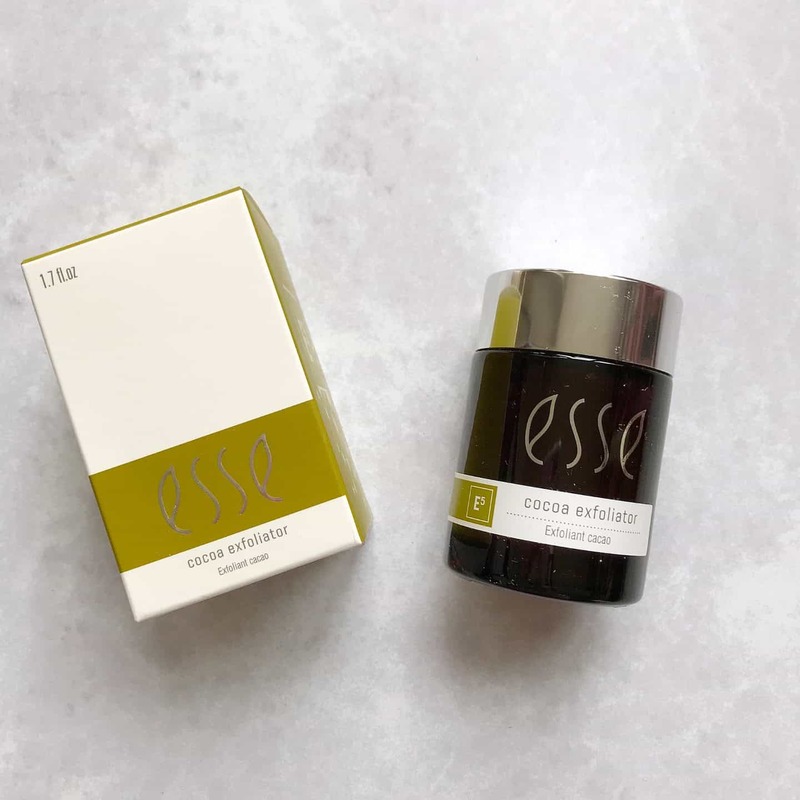 My favourite natural beauty store Love Lula stock the Esse range, including this Esse Cocoa Exfoliator, which is £30* for 50ml. It may be on the pricier side, but I really think it’s worth it as you don’t need a lot per application. And for me, the results have been brilliant and it’s a joy to use. Plus I can use it with a clear conscience knowing it won’t harm the eco system and the packaging is recyclable. 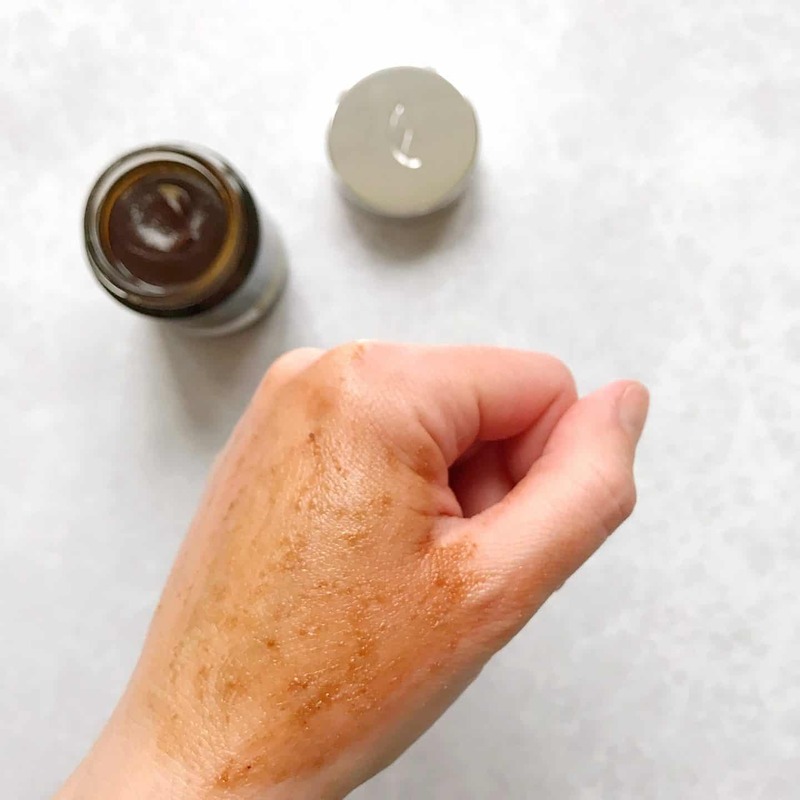 Do you have a favourite facial exfoliator? Why not Pin this review for later?